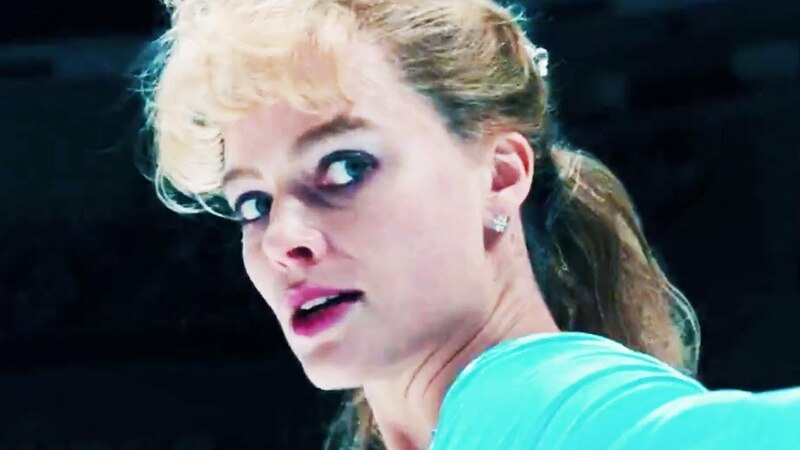 Actress Margot Robbie can be forgiven for not having heard of Tonya Harding, the champion figure skater implicated in a violent attack on Olympic rival Nancy Kerrigan in 1994. Robbie was born in 1990, and in Queensland, Australia at that. Still, Ms. Robbie is a fine Tonya Harding in the black comedy I, Tonya, which uses a zesty mock-documentary format to tell the story of the talented athlete who achieved infamy in a scheme involving her ex-husband, Jeff Gilooly, a bodyguard, Shawn Eckhardt, hired assailants, and her lust for glory. Directed by Craig Gillespie (Lars and the Real Girl) from a script by Steven Rogers (Hope Floats, Stepmom), I, Tonya sizzles with energy and irony. Tongue planted firmly in cheek, the film tells viewers it's based on “totally true interviews” with the principals of the notorious case: Tonya, her acerbic mother, LaVona (Alison Janney), Gillooly (Sebastian Stan), dimwitted bodyguard Eckhardt (Paul Walter Hauser), and a producer for “Hard Copy” (Bobby Cannavale), the TV tabloid show that, along with media everywhere, made bank off the Harding story. 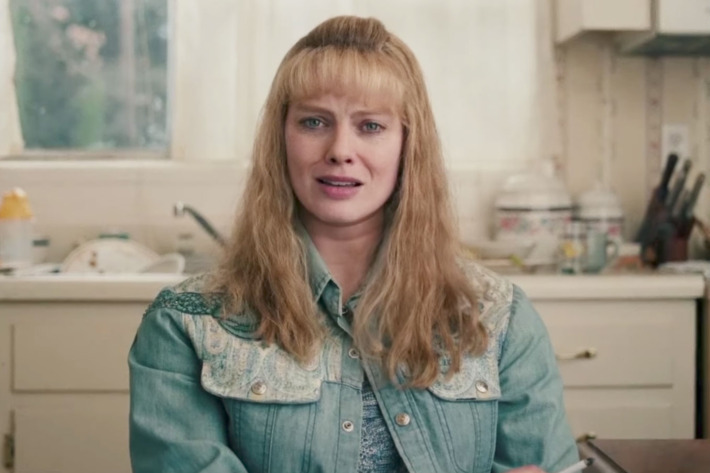 “There is no such thing as truth,” the movie's Tonya asserts in a low, raspy voice. “There is no such thing as truth. Everyone has their own truth.” And everyone has their say in this rinkside Rashomon. Alison Janney as rinkside stage mom from hell. There's a class system at work in the girls' figure skating world. While Tonya is preternaturally talented, her athleticism and working-class background are handicaps in competition. She's made to feel unworthy in the sport, which requires girls to be ladylike and wear perfect little costumes and furs. (Tonya, who's been coached by her dad in rabbit hunting, tries to fit in by stitching together a homemade fur coat.) Throughout the movie, as her actions become ever more reprehensible, Mom LaVona laments that she sacrificed all for Tonya's career. Her meanness, she claims, pushed Tonya to greater heights, insisting in the present day, “She skated better when enraged.” In the interviews, LaVona is hooked up to portable oxygen, with a cockatoo perched on her shoulder, a nicely absurd touch. In real life, an epilogue tells us, Harding and her mother have been estranged for many years. As Tonya's skating career takes off, she drops out of high school and marries Gillooly, the first boy she ever dated. 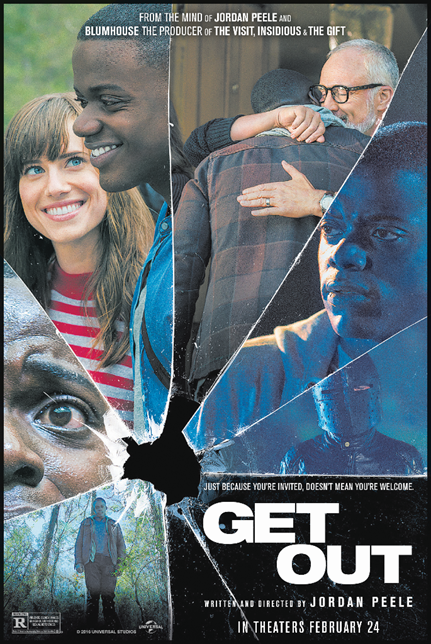 He's crazy about her, but also violently abusive; in the “interviews,” Giloolly disputes Tonya's account of his brutality, but what we see is horrific. For Tonya, it's a continuation of her life with LaVona. Giloolly reflects on his infamy, and how, after the attack on Kerrigan, his funny-sounding surname “became a verb —” to “Gillooly someone” (to hit them violently in the knee with a baseball bat). With a parade of tacky late-'80s hair and clothing styles, thrilling skating sequences that highlight Harding's astonishing skill (she was brilliant at the very challenging triple axel), and a soundtrack of '80s rock music both good and awful, the movie has exciting energy and a wry tone befitting the trashy saga. The script relies on Harding's version of events, which mostly absolves her of guilt in the 1994 attack on Kerrigan. A brief summary: On January 6, 1994, after a practice session at the 1994 U.S. Figure Skating Championships in Detroit, a man named Shane Stant attacked Kerrigan with a telescopic baton, bruising her leg. It quickly emerged that Stant had been hired by Gillooly and Eckhardt to attack Kerrigan and prevent her from competing at the 1994 Winter Olympics in Lillehammer. Harding went on to win the national championship, and Kerrigan and Harding both were selected for the Olympics team. Harding finished eighth, and Kerrigan, recovered from her injury, won the silver medal. Considering how badly Harding was treated by the media, which demonized and ridiculed her (she was a favorite late-night talk show punchline), the film's generous point of view is refreshing. As Tonya says in the movie, what is "truth" anyway? As this year comes to an end, so does the Cleveland Movie Blog. But first, one last obligatory year-end roundup article. I had big plans for the last two weeks of December. I was going to get out and see most, if not all, of the big end-of-year awards bait movies playing locally. Alas, it was not to be. The whole family came down with various illnesses – flus, colds, sinus infections – that are still lingering as I write this. So no, I did not see LADYBIRD, THREE BILLBOARDS OUTSIDE EBBING MISSOURI, THE DISASTER ARTIST, THE SHAPE OF WATER, or THE FLORIDA PROJECT. I didn’t even get to see STAR WARS: THE LAST JEDI. Despite missing all those prominent releases, I still somehow managed to take in 160 first run features in 2017. Given that writing about film is more of a hobby than a job (i.e. no one pays me for this), those are respectable numbers. And out of those 160 films, there were more than enough exemplary movies that I still feel good about my list. If anything, not it means I have room to include some less ballyhooed movies that would, in any year, be worthy of inclusion on a “Best of” list. So without further ado, here are my best films of 2017, divided between scripted films and documentaries. Darkest Hour chronicles the period following Winston Churchill's unlikely accession to UK Prime Minister in 1940 and his famous “We shall fight” radio address, a mere 48 hours later, stating that England would never compromise with or surrender to Hitler. The film was scripted by Anthony McCarten (who also wrote The Theory of Everything), for whom this episode in British history is a personal passion. The screenplay is adapted from a book McCarten wrote on the subject. We bid farewell now to 2017, that most terrible, awful, Trump-cursed year. Good riddance, bad year! 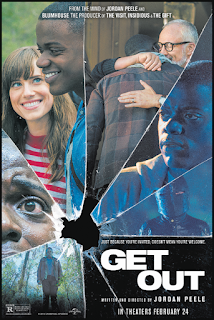 As always, the movie theater proved a good escape from the frenzied chaos, and the year brought us some excellent films, and not too many terrible ones. 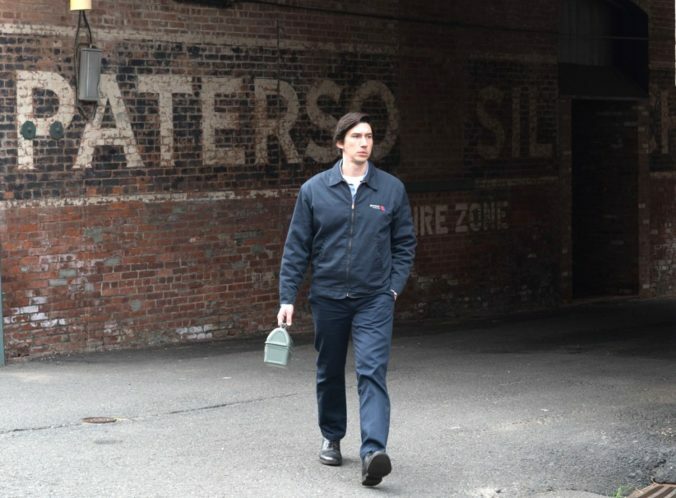 My list of favorites includes two titles starting with "I," the first-person pronoun, and not one of this year's four movies with the word “Wonder” in the title. I did, however, like cinematography and Kate Winslet's performance in Woody Allen's Wonder Wheel. I didn't see everything this year, God knows, and have not seen some scheduled to be released soon, like The Post, All the Money in the World, Molly's Game and Phantom Thread. The top movie on my list, Martin McDonagh's Three Billboards Outside Ebbing, Missouri, is currently playing in theaters, and is getting the nominations and recognition it deserves. McDonagh, the Irish playwright whose infrequent movies have included the coruscating In Bruges and Seven Psychopaths, has had a popular breakthrough with Three Billboards, in which Frances McDormand plays a woman determined to get justice for her murdered daughter. Plotless is a criticism one often sees leveled against action films. That's one failing UNDERWORLD: BLOOD WARS certainly does not suffer from. On the contrary, there is so much plot that the film becomes a huge, incomprehensible mess. Not only do we have four previous films worth of backstory to recount in flashbacks and voice-overs, but there are multiple factions of vampires and werewolves each working to their own ends as they cross and double-cross each other. And sure, you can follow it if you pay close attention, but given how dumb and ridiculous it all is, the rewards don’t really justify the effort. Dumb and ridiculous has always been a trademark of the UNDERWORLD series in which blood sucking “death dealer” Selene (Kate Beckinsale) has to do battle with the savage Lycans (the series name for werewolves) while simultaneously fending off scheming members her own kind. That was fine in the previous films, though, as it never felt like they took themselves all that seriously. As disposable as they may have been, they were entertaining on a B movie level, always offering plenty of well-staged action scenes and cheesy special effects. Here, the action and CGI monsters seem like more of an afterthought, with Cory Goodman’s script instead focusing on the dense mythology of the series. It’s funny how a movie adaptation of a book can be faithful in very many ways, and yet still wind up missing the heart and soul of its source material. Such is the case with MY FRIEND DAHMER, adapted from the graphic novel by Clevelander John “Derf” Backderf. 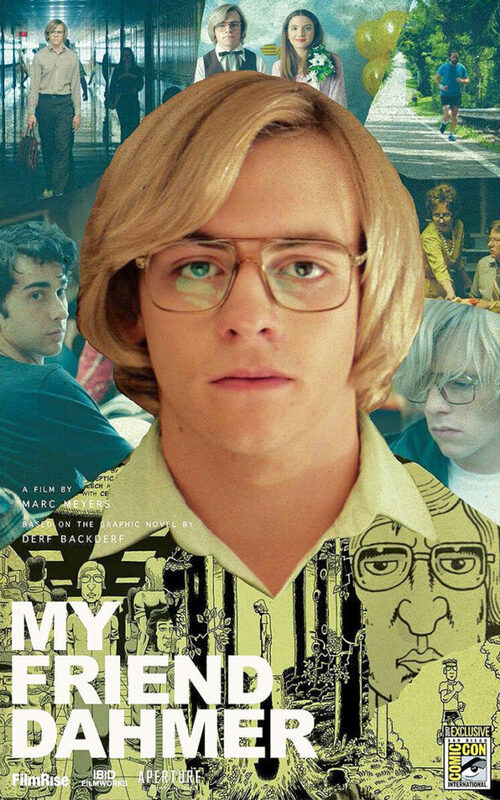 It’s an autobiographical tale in which Derf (played in the film by Alex Wolff) recounts his high school semi-friendship with Jeff Dahmer (Ross Lynch), who would go on to become one of the most infamous serial killers in American history. At the time, Dahmer just seemed like a harmless weirdo whose bizarre antics provided Derf and his friends with a source of amusement. They made Dahmer a mascot of sorts, encouraging his odd disruptive behavior. Eventually, though, the fun came to an end as Jeff's dark side became more apparent. This was most obvious in his level of alcohol consumption, which even in the party hearty era of the seventies seemed excessive, and clearly not done for fun. Kate Winslet as the troubled Ginny. The volume of Allen’s output also means that some of the films will be less than great, like his latest, Wonder Wheel. But even the least successful of the films will have something thematically and stylistically memorable. Wonder Wheel, a nostalgia piece set on Coney Island at a time described broadly as “the 1950s,” the vintage theme-park setting is the star. Allen has always had good taste in cinematographers: Vittorio Storarro renders the tacky loveliness of the amusement park roller coasters, Ferris wheel, diners and signs in gloriously artificial carbro-print type colors. The story, a rather thin melodrama, doesn’t make as much use of its setting as it might, but what a wonderful setting it is! In case you haven't noticed, there hasn't been much action here on the Movie Blog for about a month. Part of that is real life has been extremely busy for me. And the fact is, things show no sign of slowing down any time soon. But the truth is, if I were still as enthusiastic about doing this blog as I was when it started seven years and a month or so ago, I'd find the time. But the enthusiasm just isn't there anymore. Thanks to everyone who contributed to the blog during its run - Pamela Zoslov, Charles Cassady Jr., Pete Roche, George Thomas, Matt Finley, Joseph Anthony, Candice Lee Catullo, Eric Sever, Marcie Gainer, Eddie Fleisher, Milan Paurich, Grace Snyder, Zoe Brown, Edward Mishic, R. J. Justavick, Ben Lybarger, Ric Nimrod, Jeff Niesel, and Wayne Richards. And of course, thanks to John Ewing and Timothy Harry at the Cleveland Cinematheque, Dave Huffman at Cleveland Cinemas, The Owens Group, Allied, and all the other great PR people, filmmakers, and distributors who provided The Cleveland Movie Blog with advance access to the films covered here. And finally, thank you to the readers who visited this site. With what little free time I have, there are only so many creative projects I can pursue. And I feel as if I've pursued this one as far as I want to. It's been a lot of fun, but now it's time to move on to something else. And it'll be kind of nice to go back to watching movies just for fun, too. Not to mention not having to watch the ones that aren't any fun all the way to the end just because I have to write a review. The SHOUT! Factory video release of Stephen Fingleton’s grim, minimalist dystopian drama-thriller is an item which actually works best in the DVD/Blu-ray format - not downloads, not on a big screen, not even on good old VHS. 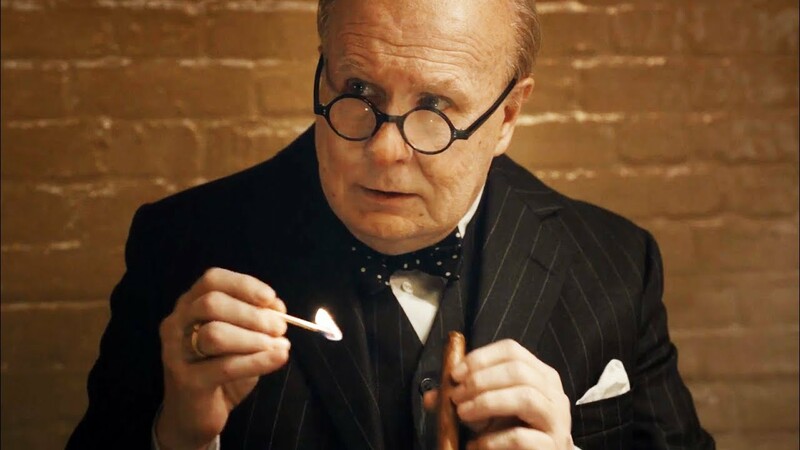 The menu presence of a handful of related Fingleton-scripted short subjects, clearly set in the same doomsday vein as the feature (one is, in fact, the prequel), makes the whole experience complete. That it's a complete feelbad mini-spectacle, well. that's for your individual tastes. 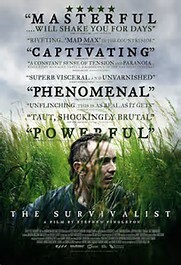 Some viewers may note a resemblance to Hollywood's film adaptation of Cormac McCarthy's The Road, with its small cast's ground-zero-eye-view of the post-apocalypse. Only an opening graphic gives the backstory, that oil and electricity have run out for mankind, cueing a massive population die-off. Now only remnants of humanity fight it out, these particular ones in some green part of the UK (the film was Northern Ireland production, and the milieu certainly does have a tragic aura). All his career John Carpenter has told folks that he’s really only wanted to make “westerns.” Yet he has consistently delivered horror and science-fiction and the occasional one-off nonconformist like a good TV biopic of Elvis Presley (featuring Kurt Russell) or the police thriller ASSAULT ON PRECINCT 13, which is regarded as a partial remake of RIO BRAVO. Okay, but not since his student-film days, if I’m not mistaken, has the dude actually delivered a genuine western. 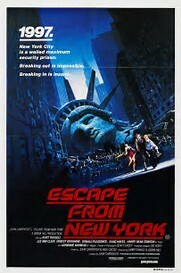 Carpenter’s 1981 flick ESCAPE FROM NEW YORK, at least, does have the DNA of a proper Hollywood-studio western, in the Howard Hawks no-funny-business filmmaking style (most recently personified by Clint Eastwood’s work behind the cameras), hitched to a high-concept dystopia plot.